Lookie, Lookie at what's new in the store...........40% off for the first week! We posted a call and these lovely ladies answered, WELCOME to the team, Britt, Yolanda, Jan, Jamie and Daphne! You can meet and find out more about these fantabulous ladies in the FORUMS. And because Kimmy loves us all so much here is a freebie. 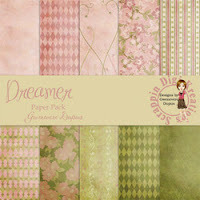 This little goodie matches her Supa Digi Kit freebie which you can find HERE. Click on the pic to get the download! Don't forget to leave her some luuuuuuvvvv. Cick the pic to get the zip and don't forget to share the love! 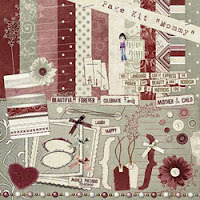 We want you - if you love to scrap and would like to work with free kits from all of our fun and friendly designers. If this sounds like you, send your details to SammyD@scrappindigikreations.com, please include a bit about yourself, what teams you may currently be on, your program of choice and a link to a gallery that best shows us your scrappin style. Never been on a CT before, don't let that stop you, we are excited to hear from all scrappers. Tempting is the main word today. 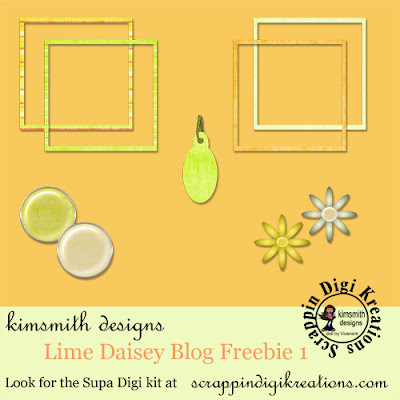 There is so much at SDK to tempt the digi scrapper!! We have challenge and games found in the great forums: a clearance section (a must see for sure ;) ) , fabulous freebies and new releases that are 40% off for a limited time! How can one go wrong? And...I must say, SDK is home to some of the sweetest gals on the web! 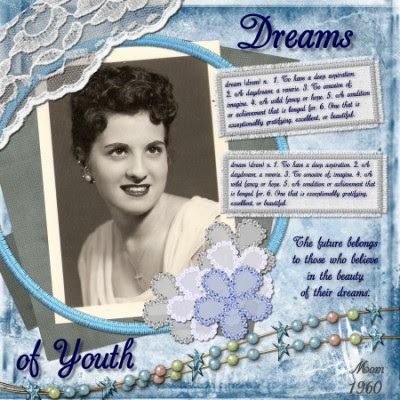 Today I would like to tempt you with some of the new releases you will find! Wowza...and there is even more there to see. Run on over and take advantage of the low prices! 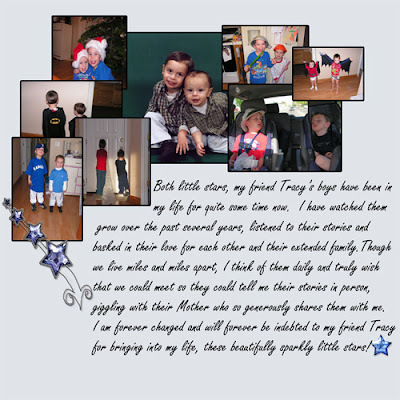 As a special treat...Tracyb has two card templates to share with you...perfect to print out and send to that special person. They are 5x7 and 7x5 (300 dpi) psd formatted...and can easily be resized. Click here to download...remember to say hi and thank you! 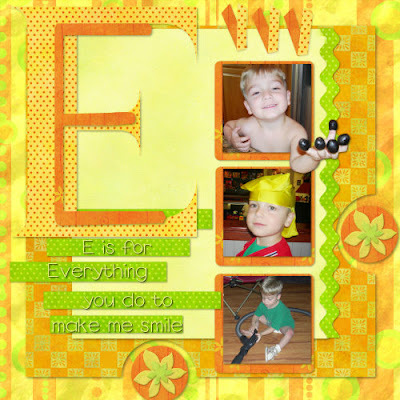 hugs and happy scrapping! Yeeeeeehhaaaaa.......we're having a clearance sale, lots of kits are on sale until the end of June when they will be removed from the store. Heaps more available in store........hurry don't miss out! It's friday...WOOT...end of the working week, which means, you will have all weekend to play with this freebie......YAY! Another hot one here...ughhhhhhhhhhhhhhhhhhhhhh! How do you escape the heat? That would be a fun layout. And don't forget to scrap those long neglected vacation pictures. woohoo! Do you have some pictures that you just cannot figure out just how to scrap? Do what I have done....start a trade with someone...in the forums...just say...Interested in photo swap? Then the participants trade pictures and scrap them for the other. You get some fun results and a different perspective! Some of you might have noticed that we revamped the forums a bit. We put a few challenges together. 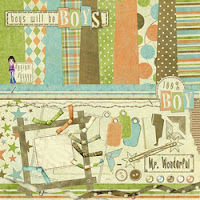 For example...our ATC challenge and our Card challenge has now been combined into the Calling all Cards challenge by Kim. Check it out here. We also have a special place for freebie finds that you have found or created. Go on and share...we all love a fun treat!! and....still talking about the bbq (get those bbq recipe layouts done for Sandy's recipe challenge)...herer is another tip she found for us! To reduce the saturated fat in a burger, cut back on the amount of meat and add plant-based ingredients such as TVP or oat bran to ground meat along with chopped vegetables. Studies indicate that oat bran has cholesterol-lowering effects. Hi there scrappers...TracyB here! Hope you are all enjoying your week so far. The weather is heating up here in Northern California and the boys and I are enjoying our backyard. Now if they would just cooperate for the camera, lol. Have you all seen the team page lately? We are updating it with AAM pages by our great designers! Go check them out here! Don't forget about our wonderful challenges going on! It is perfect for summer and makes me feel all beachy and relaxed. Can't wait to do this one! Hope you join me! 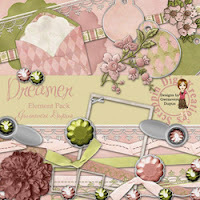 TracyB has been busy, take a look at this - Dream in Watercolor this kit is so cute, I love the darling little bird and those papers - WOW! In the store now at 40% off.....what a bargin! So summer is here, kids are out of school, bbqs and picnics and water days are sure to be enjoyed!!! I hope to see lots of fun layouts showing off these times popping up in the gallery soon! so I was browsing through our gallery and found these! I really love this layout by Janeal...the big Monogram, great pics...the way the olive finger hand is popping out of the frame (great job there hon), the cut out...to awesome! 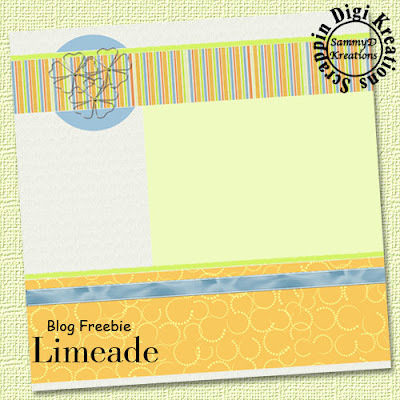 And you can get the template for free from her blog. wow! Kim's tip of the day: Remember to burn discs of your freebies, purchases, photos and anything else you collect. Make yourself a weekly schedule for burning - you'll be thankful in the long run should you ever suffer a drive burnout! 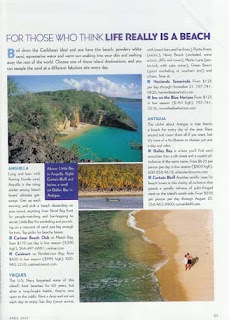 Sandy runs the recipe section over at SDK...and this month it is all about the BBQ...ahhhhh..yummmmm. Get Ye over there and check it out and play! Or walk the plank! So...her tips have to do with just that! Sandy's BBQ tip of the day: If you’re only cooking on grates outdoors, then you’re missing out on a lot of great dishes that can be whipped up on the grill. Some foods are just too fragile or too small to plop on grill grates. Stick these foods in a cast iron skillet, and you greatly expand outdoor food options. Click on the pic to go to the store! Boy our designers are full of freebies for you. 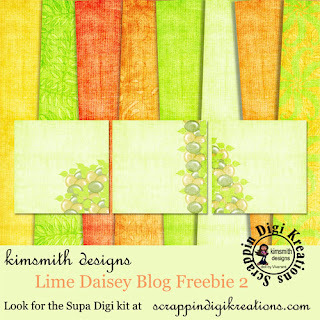 As well as the Supa Digi Kit they put together each month for you, the newsletter freebies, and the freebies found hidden in the store...they have been popping some out onthe blog too! How fun! 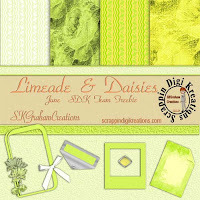 This is Limeade and Daisies by Sandy aka SKGrahamCreations. Refreshing colors and textures are found in the papers along with some gorgeous elements. Click here to download...make sure to leave her some lovin! She worked hard for you! Kim's Tip for today: When you have a lot to say, but not enough room, try doing a 2-page spread with your title on 1 page (or straddling both pages) and the bulk of your journaling on the second page. Add tiny accents to your journaling to continue the mood of your layout. 2 for 1 Freebies......I must be MAD! I have been a little under the weather this week, but now I am feeling better, I thought I would be a little crazy and give you two freebies not just one....hehehe!